All right friends here it is, our first giveaway! I am super excited about this one, because we are lucky enough to have a local husband and wife team as our first give away! Whistle and Flute Clothing is a Victoria based (go Canada) apparel company. Miranda and Ryan have been rocking the kids fashion world for just over a year now and they do everything out of their own home. While creating the cutest designs and filling orders they are also parents to two cute little boys. 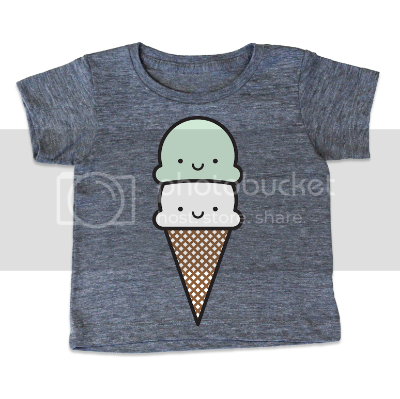 They were so nice to help me in my first giveaway and are going to give one of you a Kawaii Ice Cream T-Shirt! How cute is that shirt? They come in size from 6-12 months up to 6T!